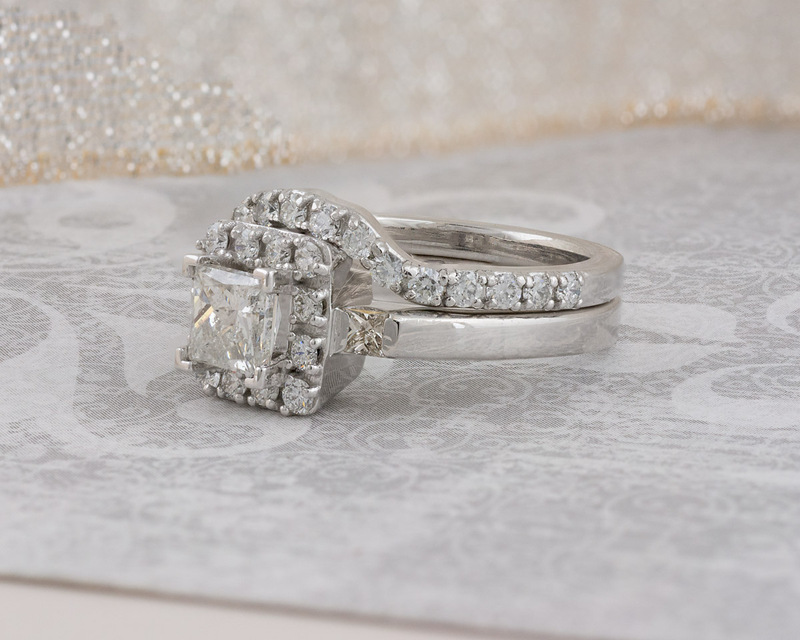 In this gorgeous wedding set, a sparkling princess cut diamond is surrounded by a halo of round brilliant diamonds. 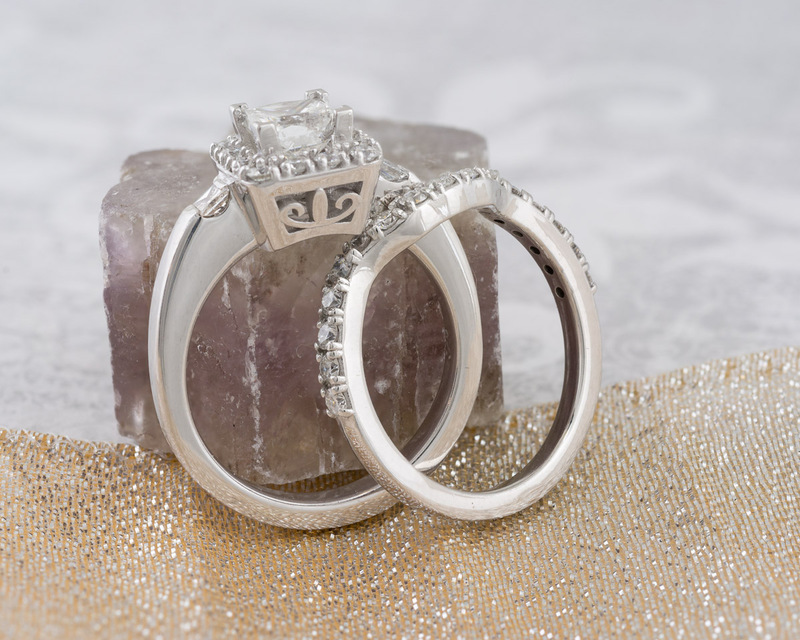 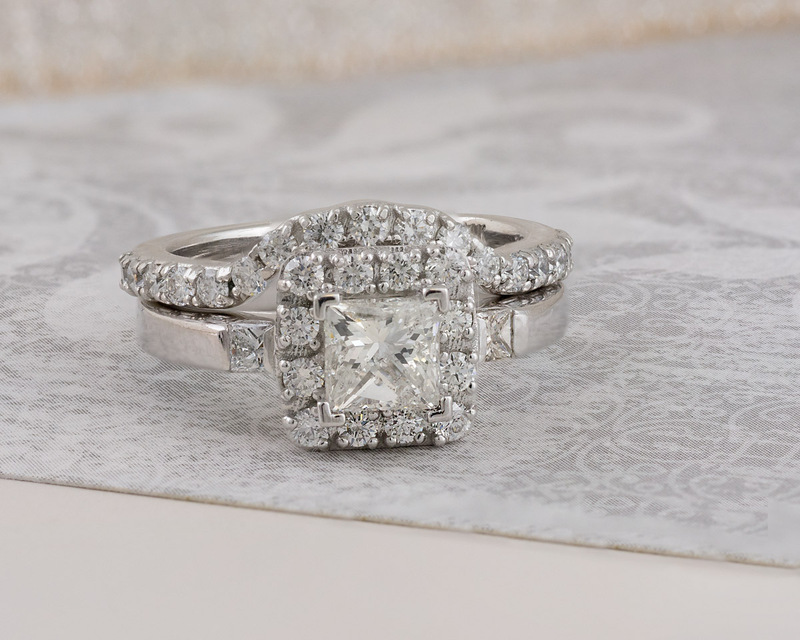 A smaller princess cut diamond accent is set in a channel on either side. 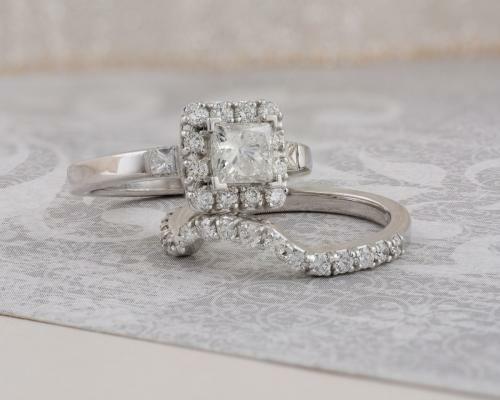 The matching wedding band is designed to fit perfectly against the engagement ring, and is also accented with round brilliant diamonds.